In the tech world we have to be used to imitation, after all it’s the greatest form of flattery. But sometimes, companies go a bit too far and this time it’s Samsung. Not just for the looks, but the internal designs too. 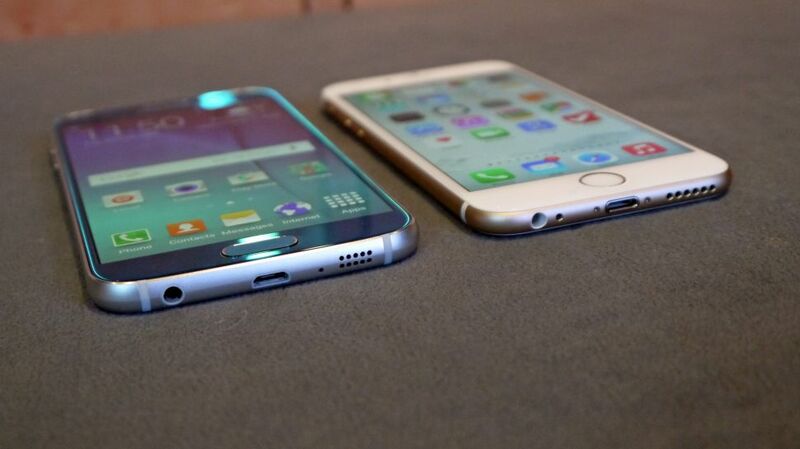 The Samsung Galaxy S6 and S6 edge are two new smartphones that actually look like iPhone 6. They have basically the same edge, port, connector and speaker/mic placement. That, I could live with as it’s a beautiful design. But Samsung dropping the microSD and user replaceable battery is something I can’t get my head around. This was for the last 5 years one of the biggest differentiator factor of their Android handset, and they have used it a lot in their marketing mumbo-jumbo. No more plastic, good. But now we basically have an iPhone 6 that runs Android. I’m looking forward to the quick charge feature as a few minutes of charge power to get a few hours is a great addition. Copying is one thing, after all everything is a remix but denaturalizing what constituted what the product was is going overboard.  Watch to have 'Power Reserve' feature. And more.